​Overwatch Hero 30 is a mystery, but the hero's identity was narrowed down a bit. Blizzard announced Ashe, Overwatch Hero 29, at BlizzCon -- but Blizzard also touched upon the next hero coming to the game. Keeping in mind the heroes and lore already released, here are a few popular characters among the community that have a chance at being Overwatch Hero 30 -- and a few characters who probably won't be. Now that @PlayOverwatch revealed Hero 29 to be Ashe, it's time to speculate Hero 30! Game director Jeff Kaplan confirmed Echo ​was not Hero 30, despite many fans believing the Overwatch panel at BlizzCon alluded to it. Echo will be a hero in the future -- just not right now. The next six heroes are ​already in development, Kaplan revealed, so fans should expect her as a hero some time in the next two years. Emre was a character fans were convinced would be added to the game -- only to find out Brigitte was the identity of Hero 27. He was involved with Overwatch, the organization, and has ties to the older cast. Adding another hero who was a former agent could be helpful to the pushing the story back on track. Emre could very well be a damage or support hero, based on the team that was present at Operation White Dome. He was most likely a red herring for Brigitte's release, but it would be foolish for Blizzard to leave a name that became as important and speculated as his to remain an unknown character. As amazing as Lynx would be, it might not be the time for another hacker to join the Overwatch hero roster. Blizzard announced it is looking at its crowd control abilities in Overwatch and ​will work on reducing or removing some of the effects, meaning a CC-heavy hacker might not be a good idea. Lynx is an interesting character, but they probably won't be the next hero nor will they be a hero for some time. For the sake of the story, Blizzard's best bet would be to add a hero affiliated with Talon -- as all antagonists added as playable Overwatch heroes have helped ​shape the story better than any other hero addition. Maximilien is a mysterious omnic and would have major potential as a character -- though fans are unsure what role he would fit. The highly popular members of D.Va's MEKA squad in Busan could make for a good new hero. Ashe is a damage hero and fulfills the community's desire for a new damage hero whose value depends on the player's skills. Blizzard still needs to add more support and tank heroes -- and the other MEKA pilots would be an interesting place to do so. All members of the squad have different roles and capabilities, so it wouldn't be surprising to have a MEKA pilot who is a healer. The only problem would be bringing the story's focus back to being related D.Va after Blizzard moved on to another hero, McCree, when Ashe was introduced. The other MEKA pilots probably aren't Hero 30, but they might be one of the six heroes Blizzard is already working on for the next two years. She's a fan favorite and would be a great addition​. Her short and very ​small cameo in the Wrecking Ball origin story ignited the hope in fans that she would join the game as a playable hero -- though it clearly was not meant to be. The Junkertown Queen could be a good addition to the game, but it would depend on the type of hero she becomes. 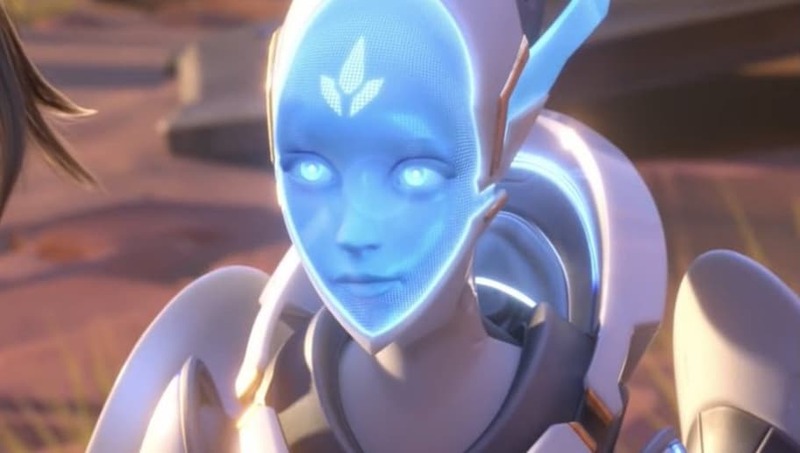 Another damage hero might feel overwhelming, and it is hard to picture the Queen as a support character She could very well be a tank. Her story is related to both Wrecking Ball and Junkertown's Roadhog and Junkrat, so perhaps there is something Blizzard could do with her lore that could give more information on all involved heroes and their involvement -- if any -- in the lore's conflict.